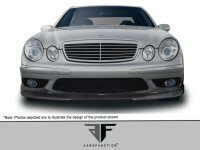 2003-2006 Mercedes E55 E Class W211 AF-1 Front Add-On Spoiler (CFP) - 1 Piece (will only fit AMG sport models)(Note: this product is made for e55 models only)Aero Function products are made from the highest quality Grade A carbon fiber available. Each item is made with 100% hand-laid grade A carbon and is protected with a UV coating that will allow the finished product to remain shiny for years to come. 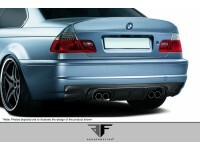 Aero Function products are known for their high quality, great fitment, lightweight, and show quality finish. 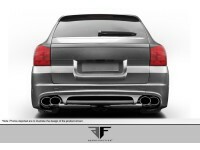 Additionally, this is one of the few parts we can offer a manufacturer&apos;s one ..
2003-2006 Porsche Cayenne AF-1 Wide Body Rear Bumper Cover (CFP) - 1 Piece(Note: must be used in conjunction with complete wide body kit)Aero Function products are made from the highest quality Grade A carbon fiber available. Each item is made with 100% hand-laid grade A carbon and is protected with a UV coating that will allow the finished product to remain shiny for years to come. 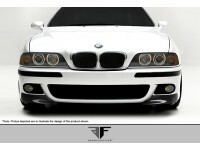 Aero Function products are known for their high quality, great fitment, lightweight, and show quality finish. 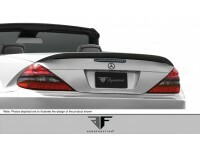 Additionally, this is one of the few parts we can offer a manufacturer&apos;s one year warranty for def..
2003-2012 Mercedes SL Class R230 AF-Signature 1 Series Wide Body Conversion Trunk Spoiler (CFP) - 1 Piece (Note: Do Not Sell Separately) Aero Function products are made from the highest quality Grade A carbon fiber available. Each item is made with 100% hand-laid grade A carbon and is protected with a UV coating that will allow the finished product to remain shiny for years to come. 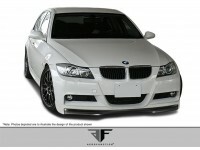 Aero Function products are known for their high quality, great fitment, lightweight, and show quality finish. 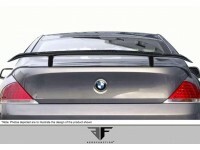 Additionally, this is one of the few parts we can offer a manufacturer's one year warranty for def..
2004-2010 BMW 6 Series E63 2DR AF-1 Trunk Lid (CFP) - 1 Piece(Note: 08-10 models will lose third brake light. some trunks/hatches may have springs or shocks that must be removed for proper fitment. 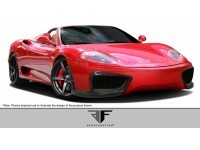 )Aero Function products are made from the highest quality Grade A carbon fiber available. Each item is made with 100% hand-laid grade A carbon and is protected with a UV coating that will allow the finished product to remain shiny for years to come. 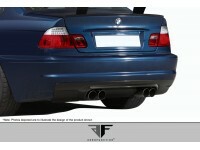 Aero Function products are known for their high quality, great fitment, lightweight, and show quality finish. 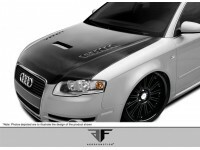 Additionally, this is one of the few parts..
2006-2008 Audi A4 S4 2DR 4DR Wagon AF-1 Hood (CFP) - 1 Piece (Note: we recommend the use of hood pins with all hoods) Aero Function products are made from the highest quality Grade A carbon fiber available. Each item is made with 100% hand-laid grade A carbon and is protected with a UV coating that will allow the finished product to remain shiny for years to come. 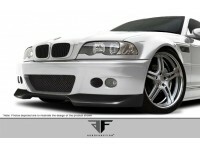 Aero Function products are known for their high quality, great fitment, lightweight, and show quality finish. 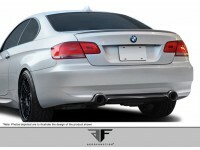 Additionally, this is one of the few parts we can offer a manufacturer's one year warranty for defects in the manufac..
2006-2008 BMW 3 Series M-Tech E90 4DR AF-1 Front Add-On Spoiler (CFP) - 1 Piece(Note: only fits m-tech bumper only. 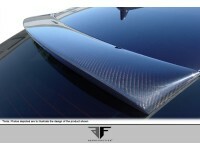 )Aero Function products are made from the highest quality Grade A carbon fiber available. Each item is made with 100% hand-laid grade A carbon and is protected with a UV coating that will allow the finished product to remain shiny for years to come. 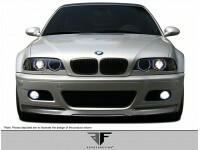 Aero Function products are known for their high quality, great fitment, lightweight, and show quality finish. 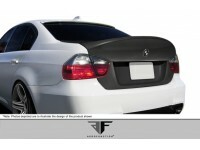 Additionally, this is one of the few parts we can offer a manufacturer&apos;s one year warranty for defects in the manufactu..
2006-2008 BMW 3 Series M3 E90 4DR AF-1 Trunk Lid (CFP) - 1 Piece(Note: some trunks/hatches may have springs or shocks that must be removed for proper fitment. )Aero Function products are made from the highest quality Grade A carbon fiber available. Each item is made with 100% hand-laid grade A carbon and is protected with a UV coating that will allow the finished product to remain shiny for years to come. 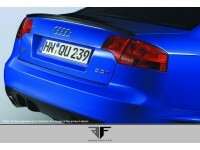 Aero Function products are known for their high quality, great fitment, lightweight, and show quality finish. 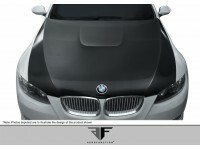 Additionally, this is one of the few parts we can offer a manufacturer's one year..
2007-2010 BMW 3 Series E92 E93 Convertible 2DR AF-2 Hood (CFP) - 1 Piece(Note: we recommend the use of hood pins with all hoods)Aero Function products are made from the highest quality Grade A carbon fiber available. Each item is made with 100% hand-laid grade A carbon and is protected with a UV coating that will allow the finished product to remain shiny for years to come. 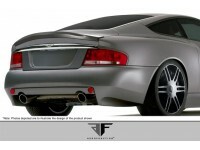 Aero Function products are known for their high quality, great fitment, lightweight, and show quality finish. 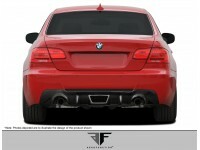 Additionally, this is one of the few parts we can offer a manufacturer&apos;s one year warranty for defects in t..
2007-2010 BMW 3 Series E92 E93 2DR AF-1 Rear Diffuser (dual exhaust) (CFP) - 1 Piece(Note: designed for dual exhaust 335i models)Aero Function products are made from the highest quality Grade A carbon fiber available. Each item is made with 100% hand-laid grade A carbon and is protected with a UV coating that will allow the finished product to remain shiny for years to come. 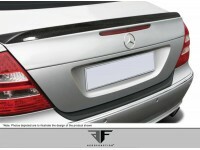 Aero Function products are known for their high quality, great fitment, lightweight, and show quality finish. 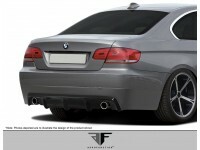 Additionally, this is one of the few parts we can offer a manufacturer&apos;s one year warranty for defects in ..
2007-2013 BMW 3 Series M-Tech E92 E93 2DR AF-3 Rear Diffuser (CFP) - 1 Piece(Note: for use with m-tech rear bumper only)Aero Function products are made from the highest quality Grade A carbon fiber available. Each item is made with 100% hand-laid grade A carbon and is protected with a UV coating that will allow the finished product to remain shiny for years to come. 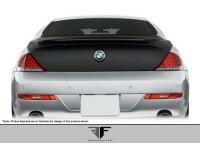 Aero Function products are known for their high quality, great fitment, lightweight, and show quality finish. 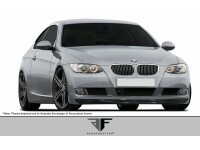 Additionally, this is one of the few parts we can offer a manufacturer&apos;s one year warranty for defects in the manuf..